Berlin has faced many transformations, both good and bad. It is the capital city of present-day Germany – having transferred from Bonn after reunification – but it was also de facto capital of East Berlin after World War II. Germany was divided into four zones as per the agreement in the conferences of Yalta and Potsdam, controlled by the U.S., France, the U.K. and the Soviet Union. The GDR controlled East Berlin for almost 40 years. The German Democratic Republic (GDR), known as the DDR (Deutsche Demokratische Republik) in German, was formed after World War II and existed from 1949 until 1990. It was comprised of the area in Germany under the control of Soviet Union. The current German states of Mecklenburg-Vorpommern, Brandenburg, Berlin (only East Berlin), Saxony, Thüringen, and Saxony-Anhalt were part of the GDR according to the Yalta Conference, which was commonly known as East Germany, or Ostdeutschland. Berlin was the capital of East Germany, and today’s boroughs of Mitte, Lichtenberg, Weißensee, Hohenschönhausen, Friedrichshain, Treptow, Köpenick, Hellersdorf, Pankow, Prenzlauer Berg and Marzahn were part of the GDR. The Berlin Wall was fabricated to divide the city into East and West Berlin in 1961, after 2.7 million people escaped from East to West Germany. 136 people were killed trying to cross the wall; the Berlin Wall was demolished in 1989, ushering in the end of the Cold War. The political history of the GDR can be divided in four phases: the first phase – 1949-61 (start of socialism); the second phase – 1961-1970 (consolidation after construction of Berlin Wall); the third phase – 1971-1985 (known as the Honecker Era, with closer ties to West Germany); and the final phase – 1985-89 (decline and reunification of Germany). 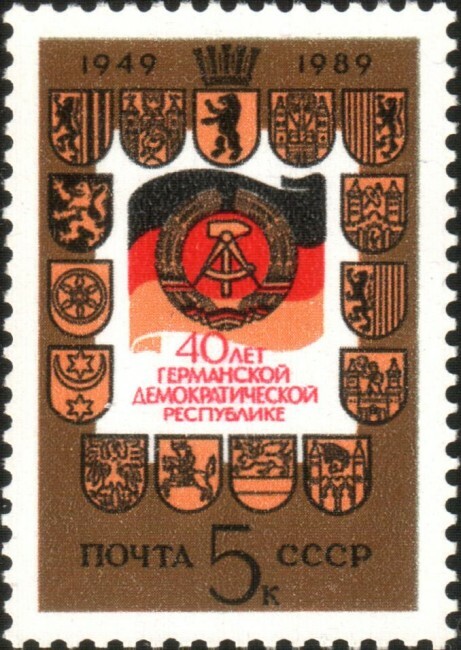 Wilhelm Pieck, Walter Ulbricht, Erich Honecker, Egon Krenz, Manfred Gerlach, and Sabine Bergmann-Pohl were the Heads of State during the 40 years of GDR rule. East Germany was a member of the Warsaw Pact, but the GDR was considered under the influence of Soviet Union. But under the Soviet rule of Mikhail Gorbachev, democratic reforms were introduced in the late 1980s known as the ‘Sinatra Doctrine.’ The Stasi was the Ministry for State Security in the GDR, and its former headquarters now house a museum. The East German Mark was the currency used in East Germany, and the GDR had a state-controlled economy, which meant that all big factories and companies were state property called ‘Volkseigentum’ (the people’s property). The Trabant automobile, or Trabi, is the most famous artifact of the GDR, and there is also a Trabi Museum in Berlin near Checkpoint Charlie. East and West Germany took part in the Olympic Games as one team until 1964; East German athletes excelled in cycling, boxing, athletics, and winter sports. Television and radio were state-owned, and the cinema in East Germany was regulated by the DEFA (Deutsche Film AG), which had further local divisions. East Germany became popular for its productions, especially children’s films. 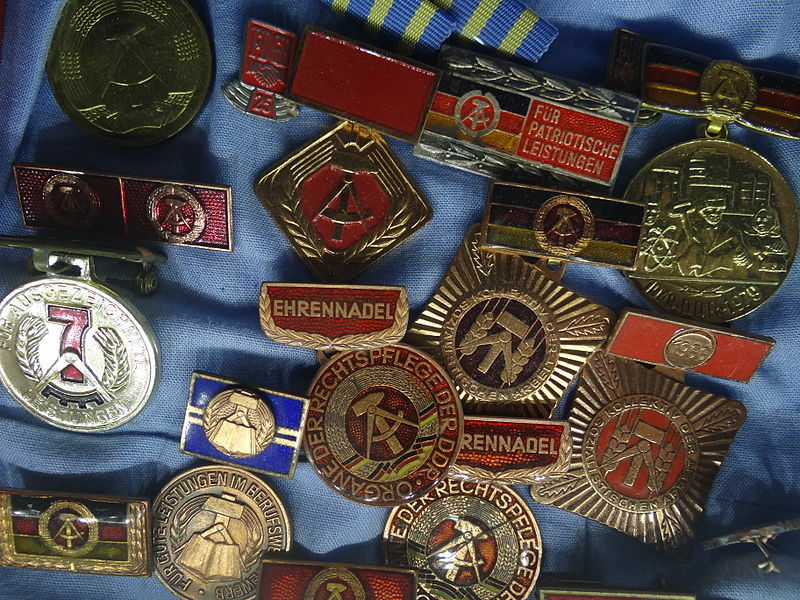 In a nutshell, every aspect of life was affected by the Soviet Union’s norms and traditions. In 1989, the Berlin Wall was demolished through the efforts of German and international forces. The same year, open elections were held in Germany, the GDR was dissolved, and on October 3, 1990, East and West Germany were unified. After reunification, many GDR monuments were demolished, but still you can trace its history through the many GDR sites in Berlin, like the DDR Museum, East Side Gallery, Stasi Museum, Checkpoint Charlie, and Fernsehturm.